One worker died and another was injured after a load of steel beams fell from a crane on Oct. 9 at an Evanston construction site. Evanston firefighters responded to the construction site at 811 Emerson St., where they found a 27-year-old man pinned under the beams and a 55-year-old man gravely injured, the Evanston Fire Department said in a news release. The news release said the accident occurred when the crane’s rigging failed while unloading stabilization columns from the back of a truck and the columns dropped from about 30 feet high. Firefighters also had to help the crane operator down from the crane’s control room. Investigators from the federal Occupational Safety and Health Administration (OSHA) were on the scene. The cause of the accident was under investigation. 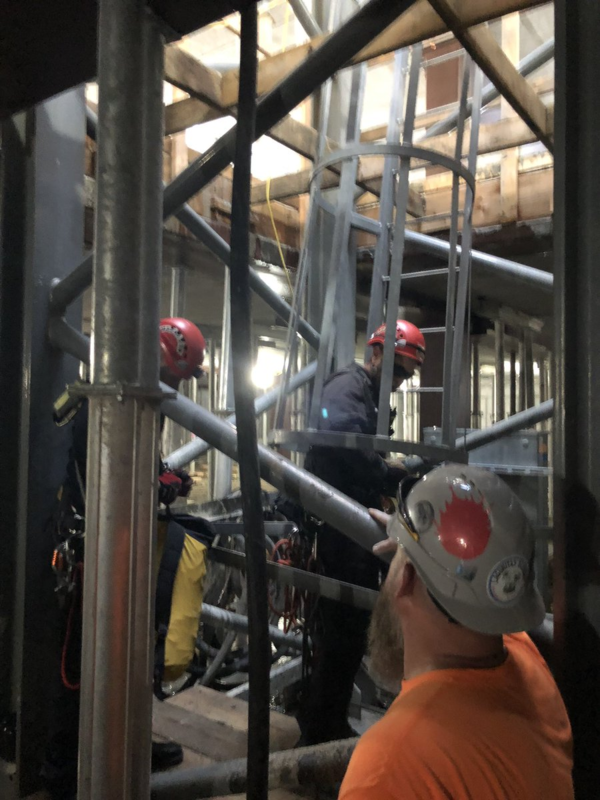 CBS-2 reported that Area Erectors was involved in another fatal accident in January, 2015 when a life operator was pinned between the frame on the basket and a joist, according to OSHA records. The company also was fined for several OSHA safety violations during Wrigley Field construction work in 2016, the broadcaster reported. CA Ventures and Focus Development are building a nine-story structure with 241 units at the site.